The purchase of a home is probably the largest single investment you will ever make. You should learn as much as you can about the condition of the property and the need for any major repairs before you buy, so you can minimize unpleasant surprises and difficulties afterwards. After the inspection, you will have a much clearer understanding of the property. If you are already a homeowner, a home inspection may be used to identify problems in the making and take preventative measures which might avoid costly repairs in the future. If you are planing to sell your home on the market, you may wish to have an inspection performed prior to placing your home on the market. This will give you a better understanding of the conditions which may be discovered by the buyer's inspector and an opportunity to make repairs that will put the house in a better selling position. Having an inspection will help you comply with current disclosure laws concerning the sale of your property. Even the most experienced homeowner lacks the knowledge and years of expertise of a professional home inspector. An inspector is familiar with the elements of home construction and remains completely objective and unemotional about the home. Can A Home Inspection Fail? NO! A professional home inspection is an examination of the condition of the home on the day it is inspected; it is not an appraisal, which determines market value or a municipal inspection, which verifies local code compliance, but rather describes its visible physical condition and indicates what may need major repairs in the near future. It is not necessary for you to be present for the inspection, but it is highly recommended. You will be able to accompany the inspector and ask questions directly as you learn about the condition of the home, how its systems work and how to maintain it. You will also find the written report easier to understand if you've seen the property firsthand through the inspectors eyes. The Client usually retains the inspector. The Inspector works for you. The report cannot be given to anyone else without your written consent. The purchase of a property will likely be the most expensive investment people will make in their lives, it doesn't make sense to shop for the least expensive inspector you can find. What is the saying, "Pennywise and Pound Foolish". That is most certainly true, in todays world, you get what you pay for. 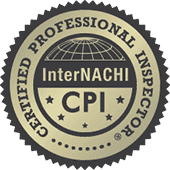 Don't be fooled by individuals whose training consists of viewing a video tape for 2 hours and then claim to be a "House Inspector" Check for "Certifications" before hiring an inspector. No Home Inspection can guarantee their won't be problems, even new homes are not perfect on the day their new owners move in. A Certified Home Inspector can point out existing or potential problems that would require attention either by the seller or buyer. You, the buyer,save yourself from problems you never contemplated when buying the "Dream House" you wanted. You, the seller, are complying with current disclosure laws concerning the sale of your property.